Tasmanian Devils - Are they real, do they still exsist? 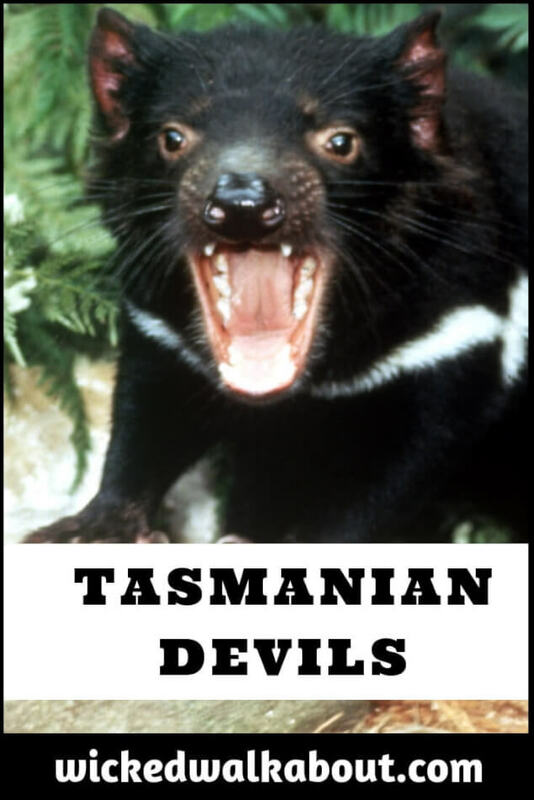 Tasmanian Devils - Frequently asked Questions. The Tasmanian Devil (Sarcophilus harrisii) got its name from the early European settlers who heard the frightening and unearthly noises coming from the bush. Discovering the little animals with such big sharp teeth prompted them to call it The Devil. Tassie Devils once lived on the mainland of Australia. It’s believed they became extinct on the mainland about 3,000 years ago, possibly due to increasing numbers of dingoes. The dingoes were widespread but did not manage to reach Tasmania due to the Bass Strait. 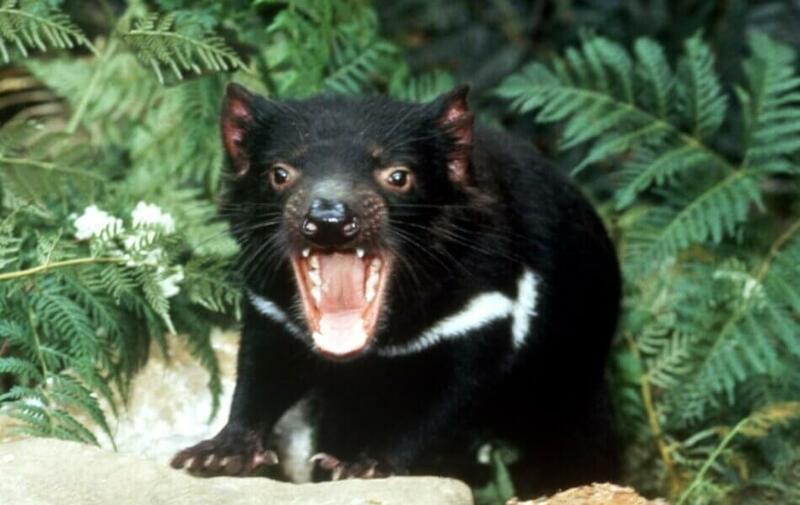 Is the Tasmanian Devil extinct? No. But they are on the endangered list as it was realised in 1996 that they are under threat from Devil Facial Tumor Disease. For over 100 years the little creatures were trapped and poisoned as they were considered a pest. They were under threat of extinction until finally protected by law in 1941. Are they still alive in the wild? Yes. The Tassie Devils are very much alive in the wild. One of the best places to see them is at the Cradle Mountain National Park as they come out after sunset. Do not feed them! No. Mean is definitely not the way to describe these Tasmanian icons. They are protective and can be quite aggressive when feeding on a carcass. The wide-mouthed, gaping snarl they do is more to do with fear than anything else. When feeling threatened or stressed, they will release a nasty, foul-smelling odour and will do a sharp sneeze if challenging others to fight. No. Not like the cartoon character of the Tassie Devil! They can climb trees and swim though. Do Tasmanian Devils attack humans? No. Not as a rule, unless they are provoked or fearful. When near humans they will, like so many wild animals, scavenge for food and can certainly become aggressive if they are used to being fed and then refused. Their bite per unit body mass is 540 kg per square inch! Strong enough to gnaw through some metal. Do Tasmanian Devils have a pouch or lay eggs? Yes and No. They have a rear-facing pouch to prevent dirt from getting in when digging. About 30-40 tiny, pea-sized young (called Joeys) have to make their way to the pouch, only a few will survive the ordeal – luckily, as the mother only has 4 teats. First in first served. Yes. They are marsupials like the Kangaroos, Wallabies, Koalas and Wombats. Devils eat meat and just love to feast on the carcass of other dead animals. They are not terribly polite eaters and can make a huge racket as they fight each other off for the best feed. The tail of the Tasmanian devil stores fat, which means a skinny tail is a sign of a sick or starving animal. 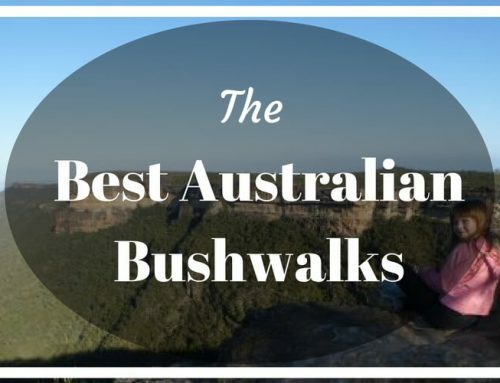 Where can we see real live Tassie Devils? 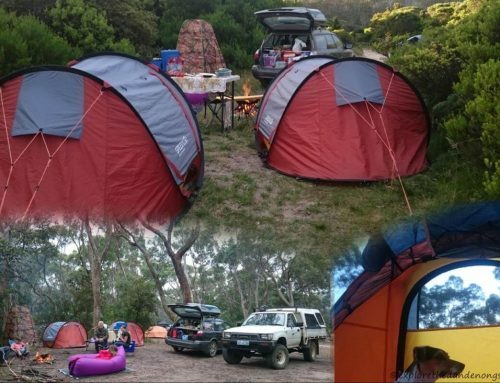 In the central highlands of Tasmania and National Parks such as Cradle Mountain. go out after dark and listen for them! Do not feed them! 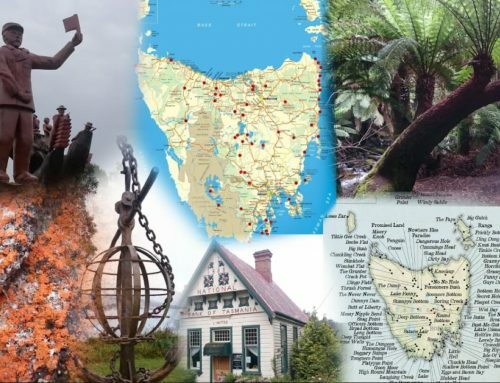 There is a lot to see and do in Tasmania, discover the top 34 attractions that we love and find a map of Tassie here. Tasmania has a number of wildlife parks where they can be seen too. Tigers are extinct although people occasionally claim to have seen them deep in the Tasmanian Wilderness. It would be lovely if it were true.